Michel Robert offers to riders of every level his 40 years of experience as a horseman, as a coach and as an international competitor. This site was created by Michel Robert and his team. 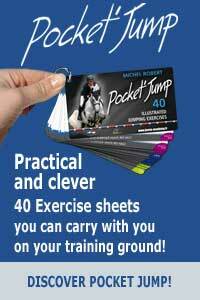 It is a practical and educational guide aimed at helping horses and riders at every level, amateur or professional, progress. This second part of the exercise is to be done at a canter with a horse well-schooled and responding perfectly to the leg and hand aids. 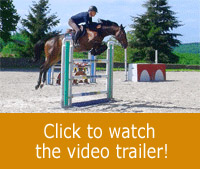 The rider will have to be demanding to be in a perfect control of the 4 feet of the horse. Five time French champion, multiple medallist at the World Championships and the Olympics, over the course of his 40-year career, Michel Robert has become a respected leader in the equestrian world and one of the most in-demand trainers in France and in the world. Having ended his competitive career in 2013, Michel now devotes himself to training competition horses in his stables in Moras (Isere) and also to passing on his knowledge and his experience on this website Horse Academy.